Linden Gledhill’s experiments with iX Cameras i-SPEED 726R high-speed video camera, courtesy of Hadland Imaging. For example, Gledhill hacked an old hard drive into a camera shutter 10 times faster than anything in a store. He’s also rigged up a machine to create snowflakes on demand and patented a super-resolution photography rig. Gledhill uploads his experimental photos and video to Flickr, and art directors and producers take notice — not only because he’s creative, but also because he’s good. He’s earned commissions for TV commercials and music videos, and most recently, high-tech prints of his photos were donned by fashion models. For the past couple of years, Gledhill has been playing with a tiny dish of liquid that sits on a speaker. 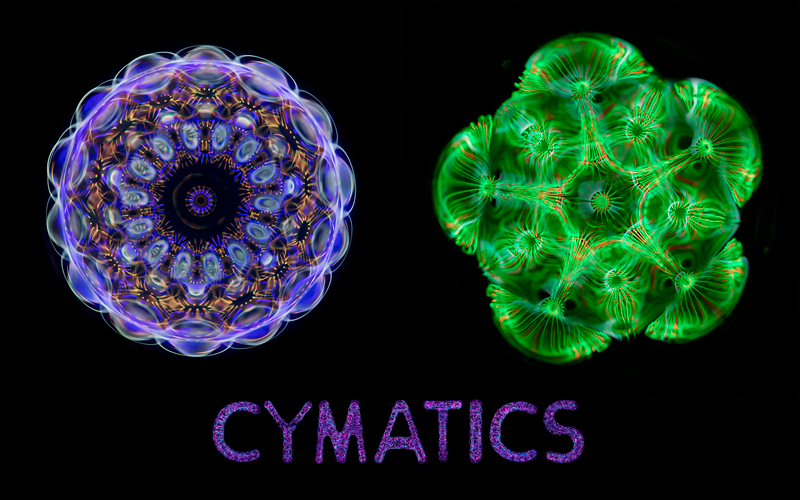 Called a cymascope, it’s designed to create and tune repeating patterns of waves, like those formed in wine by rubbing the rim of a crystal glass to make it vibrate or “sing.” These cyclical ripples, also called cymatics, travel far faster than human eyes can see, so he uses ultra-high-frame-rate cameras slow them down and record their secrets. Read the full article and look at some of Gledhill’s newest experimental and hallucinatory imagery.